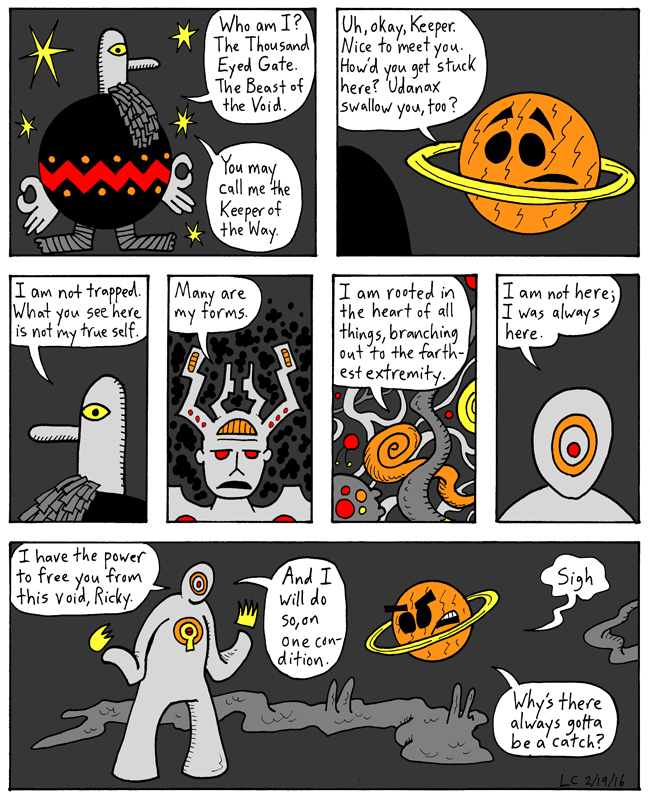 The Keeper of the Way has previously appeared in Fuzzball and Scuzzball, though I don't blame you if you missed it--look near the center of this page. Celebrated artist Matt Kish created the Keeper of the Way, back when he was kind enough to write and draw a story for my comic Laser Brigade. You can see Matt's original drawings of the Keeper in his rotund form here, but don't just read that page; read Matt's whole story starting here. It's really beautiful. NEXT TIME: So what's the catch?